Payoneer is an industry-leading global payout platform that simplifies the world of commerce by removing limitations that typically surrounds international commerce. As a payout company, Payoneer works just like Paypal. It started its journey under the membership of MSP (Member Service Provider) MasterCard. It gives you and I the opportunity to possess a free MasterCard (Debit Card) which is accepted worldwide for payments & transactions. In this guide, I will explain how you can obtain this card in Nigeria or any country of yours, in order to receive online payment. I will put this down in a step by step process so that you can quickly take action. 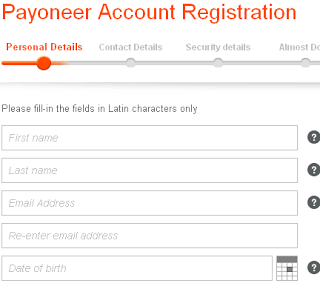 Payoneer came into being in 2005 and has its headquarter in New York. Its reliability as a payment platform has made it popular around the world as it is used in almost 200 countries. As a Nigerian, you must be well aware of the restriction PayPal has placed on Nigeria. 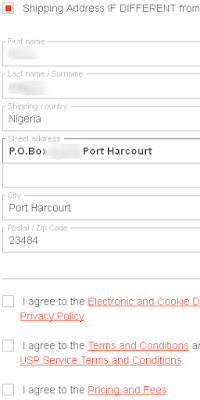 This has seriously handicapped Nigerians who are willing to carry out online transactions with other countries. For example, you may have a product to sell but because you lack PayPal it becomes difficult for you to receive payment. These are some of the problems that Nigerian face and a major reason why you need to obtain the card. You need the card because it allows Nigerians to make purchases online as well as to receive payment from other countries. The best part of it is that you can easily register for one. Where your address is required ensure you put in the correct address. Filling in an incorrect address will make you misplace the card as the card won’t be delivered to you. In this section you’ll be requested to provide an ID card. You can use a passport, a national ID or drivers license. Just input the number of your card into the space provided. After filling in the ID details you will need to tick the box as shown below. After this you can click the submit button. You would receive a mail requesting you to click order confirmation. Click on the link and wait for few seconds. You would receive another message approving your request. Your card will be sent to you in roughly a month time. I applied and recieve my card.